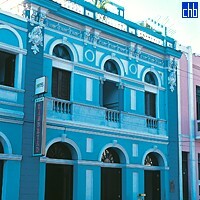 Hotel Islazul Libertad is situated in the historical center of the city of Santiago de Cuba, facing the Plaza de Marte (Marte Square), which served as a parade grounds for military ceremonies and slave auctions during colonial times. Today it is the center of important social and cultural activities. 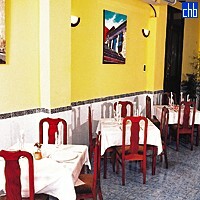 From the hotel you can access all the city’s most important spots: Heredia Street, Casa de la Trova (House of Traditional Cuban Music), various museums such as the Museum of Rum, the Carnival Museum, the Museum of Poet José María Heredia and the Ambientación Museum among others; also on the outskirts of Santiago visitors can visit and enjoy Baconao Park and the Virgin de la Caridad del Cobre (Virgin of Charity, Cuba’s Patron Saint), among other sites. 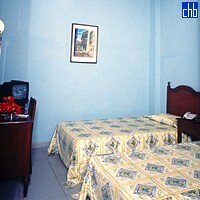 All standard rooms have simple furnishings, small but functional bathrooms, radio, telephone and satellite TV. Only half of the rooms have windows. Room with the window can be requested but can not be guaranteed, subject to availability.